Probably like a fair few on here I've fitted kitchens from various suppliers/manufacturers , magnet , wren , wickes , b&q and so on. Fitting wise they have all been pretty much of a muchness and all looked decent when first fitted. However , I'd like to ask if anyone has any advice on how they stand the test of time. It's not that common to visit or revisit a job several years down the line to see how they are holding up which as I am looking at a new kitchen for ourselves is a factor I'm interested in. I did fit a magnet kitchen around three years ago and went there just recently to look at something else. That kitchen still looked as good as the day it went in. A friend had a howdens kitchen which he is pleased with the quality of although there were quite a few mistakes in the order. A friend of his had a Homebase kitchen which we have looked at but has said that after only five years it's looking somewhat tatty. The b&q kitchen I have fitted seemed the cheapest and perhaps lowest quality and the wickes seemed decent enough although again I haven't been back yet. I'm thinking that it will also be a case of units from one place , worktop from another and possibly other bits from someone else to get the price down. For example magnet quoted nearly £800 for the worktops ( solid oak) with the trade discount , wickes around £650 but I have found them online for a hundred or so less. Extractor hoods are three times as expensive at wickes that the same thing at magnet and b&q do them cheaper still. Anyhoo if anyone has any stories , good or bad , of how a specific kitchen holds up over time I'd be grateful to hear. I think it is much to do with the householder. Some folks are just careless and cause damage without thinking of repairing it or fixing something before it goes wrong. I do not think it s a reflection of the units it is the users who usually cause the early demise of units, not the manufacturer. Turning to your other question I think that it is best to source all the various components from the cheapest and best supplier. I think that the kitchen suppliers tend to mark down the cabinets as a loss leader and make their money on the worktops and accessories, especially trim bits. I saved a load on painting some standard pelmets using a paint matching process to make my own rather than buying exorbitant priced originals. When it is your own kitchen you can do these cost cutting exercises. Yes how it's treated does have an impact . The customers I fitted the magnet kitchen for have two young kids and kids are rarely as gentle as they could be but don't seem to have done any damage. We visited b&q and they had the doors swinging on the wall and we cvouldn't help but notice how grrubby they looked after the world and his wife had had their mucky paws on them. I fitted a large wren kitchen last summer and for a 7k kitchen it wasn't as good as I would have thought it was. Not only did some doors not fit or even have have hinge holes there was numerous picking errors which took weeks to resolve and despite them sending someone out to confirm measurements the boiler cupboard was too small. In the end I had to modify the carcass significantly to ensure it fitted correctly. They sent (and charged) double the amount of pelmet and plinth. There were some large omissions from some of the instructions which they had videos for on their youtube feed. Not sure why they couldn't just put them in the booklet? Finished result was good though. Nice looking kitchen K but perhaps it shows the sheer awkwardness of my question I've fitted wren kitchens and while I did think they were a tad overpriced ( well aren't they all) quality and service wise they seemed ok. But as I say I've only ever seen them just after fitting and not a couple of years down the line. Every Wren kitchen I have installed has had an issue with picking, either items missing or wrong items supplied. I spoke to a Wren fitter a couple of years ago and he said he spends a week each month going about fixing issues from the original installs. I now quote for an extra day for any customer that wants a Wren kitchen installed to cover for me coming back to rectify Wren issues. Actual product isn't too bad though. 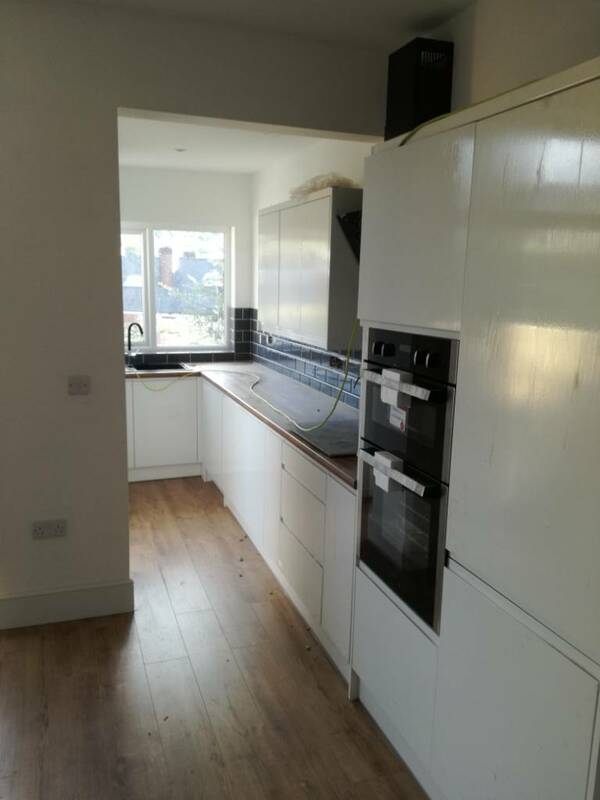 We had our kitchen fitted 2 years ago and we bought ours from https://www.diy-kitchens.com/ as the carcasses were pre assembled and all the doors and drawers are already fitted in the carcass so there are no chance of any parts missing. The firm is internet based and they have a showroom up north , but I was recommend them as being a decent quality at a reasonable price and we haven’t been disappointed. We chose a handle less painted kitchen. It has worn well so far and is easy to keep clean. I would have a look on their site as they have lots of reviews as well as customer kitchens. I don’t have any affiliation with the company other than being a satisfied customer. We looked at Homebase and if only out of interest we're going to get a quote. It's sometimes a good idea to get someone else's view. We have changed to layout after the couple of consultations as it is. The friend of a friend who had one did seem to suffer from the edges of the doors chipping easily . Could be they were a bit rough with them as to be honest the doors didn't look any real difffference in quality to others. I think fitting is just as important as the manufacturer, ensuring things are straight true and level. The Howdens kitchen after 3/4 years was like new and that with Mr test to distraction in the house (me) . The doors on the DIY are lacquered semi gloss finish and I must admit they look better than the Howdens foil wrapped. Homebase carcases used to be only 16mm where everyone else was 18mm, not sure if that is still the case though. Fitted a cooke & Lewis (b&q) kitchen just before xmas and the carcasses were 18mm. Quality was ok for what they cost. Customer was happy with finish. One thing I have noticed in recent years and it seems to be on various brands is that service voids are getting smaller in order to maximize cupboard space. I would agree with https://www.diy-kitchens.com/ Ours has been in for 6 years and looks as good as new.